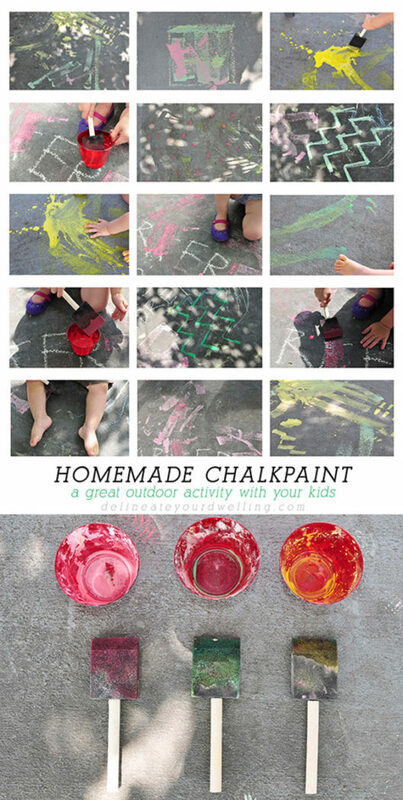 INSIDE : Learn how to make easy, fun and entertaining Homemade DIY Sidewalk Chalk Paint with your kids this summer! 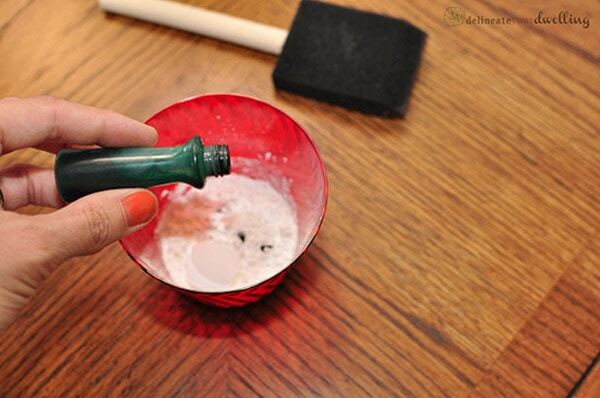 Plus, it washes right off for simple and easy cleanup. Mom win! This has to be one of the easiest and quickest recipes I’ve whipped up to entertain the kiddos in a while. And the entire time, my oldest kept squealing, “More painting, mama! 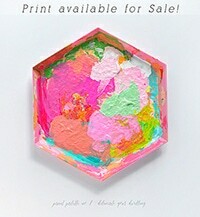 More painting!” Today I am sharing how to make Homemade DIY Sidewalk Chalk Paint for endless hours of fun for children. The ingredient list is so simple, which makes me one happy mama. I have a feeling we will be doing “more painting” all summer. Homemade Sidewalk Chalk Paint directions ? Grab some paper and a pencil. Okay, let’s get into it. First, using a small mixing bowl, pour in roughly 1/2 cup of cornstarch. Next, add about 2/3 cups of water and mix. You can do equal parts cornstarch and water, but you will find the mixture is more chalky than “paint like”. 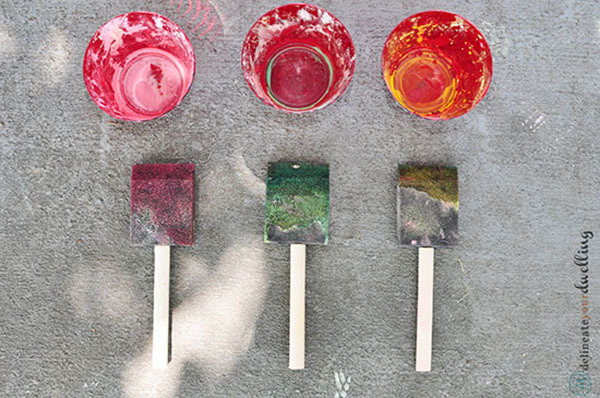 Your kiddos will need to keep dipping their brushes into your mixture to achieve a “painted sidewalk” look. Finally, pour equal parts of your cornstarch and water mixture into disposable cups or even plastic tupperware. 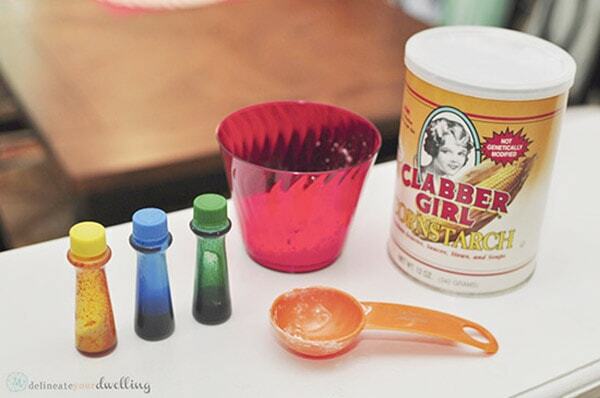 You can add food coloring to each cup until you have your desired colors. Note: The chalk paint will dry much lighter on the sidewalk than what you will see in your cup. This is what our chalk paints looked like once we had done all the mixing. The paint colors are so lovely and vibrant! Did I mention the entire thirty seconds it took to make this sidewalk chalk paint, both my kiddos were standing at my feet screaming? Why is it whenever you are preparing for something fun, they act like wild animals? I swear they can sense that kind of thing – ha. 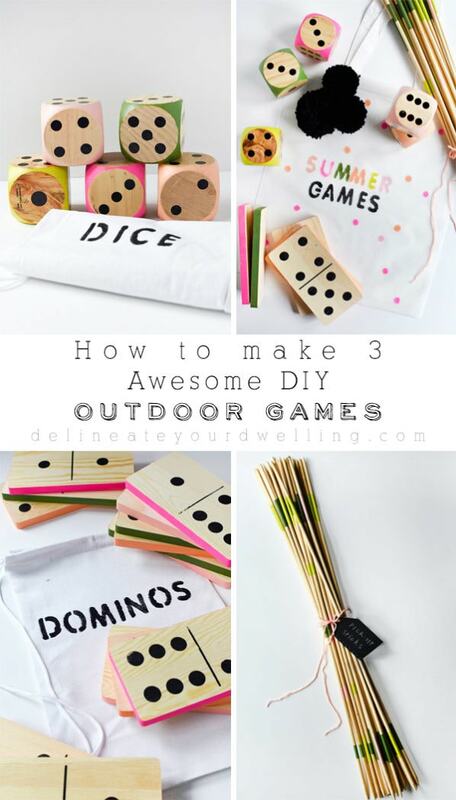 But on the plus side, this is a really quick project to mix up and in no time at all, your kiddos will be having fun outside. 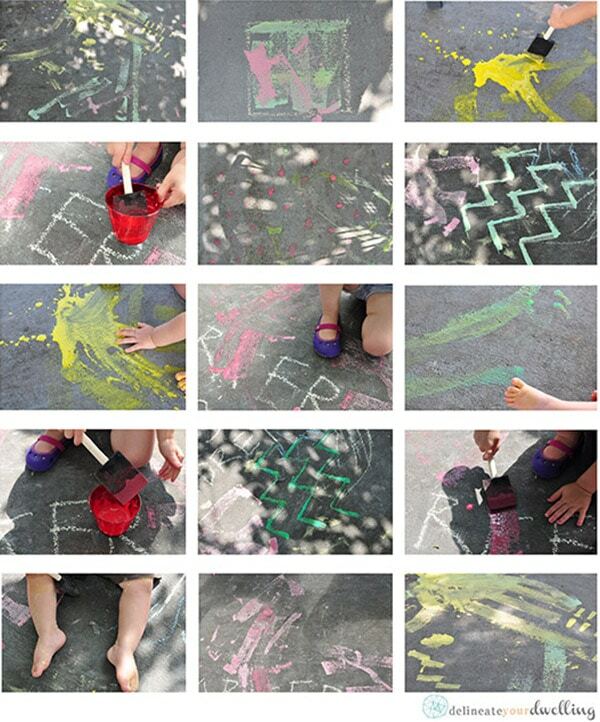 Using sponge brushes (or any type of brush you would like to give free reign over to with your child), you can create all kinds of patterns and shapes with your Sidewalk Chalk Paint. My younger guy just painted on everything in random kiddo squiggles. 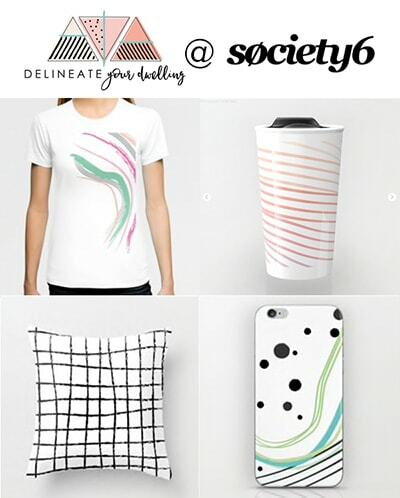 My daughter was a little more interested in creating patterns and basic shapes. Once we were outside, my kids both had sun a fun time! It was really neat to see how it painted on wet looking and as it dried, it looked just like regular chalk. Since they somehow ended up getting it on themselves, their clothes, the outdoor table and chairs AND the grill… I was quite relieved to see it cleaned up with no trouble after spraying some water on everything with the garden hose. Empty cups, equal we used up every little bit of chalk paint. 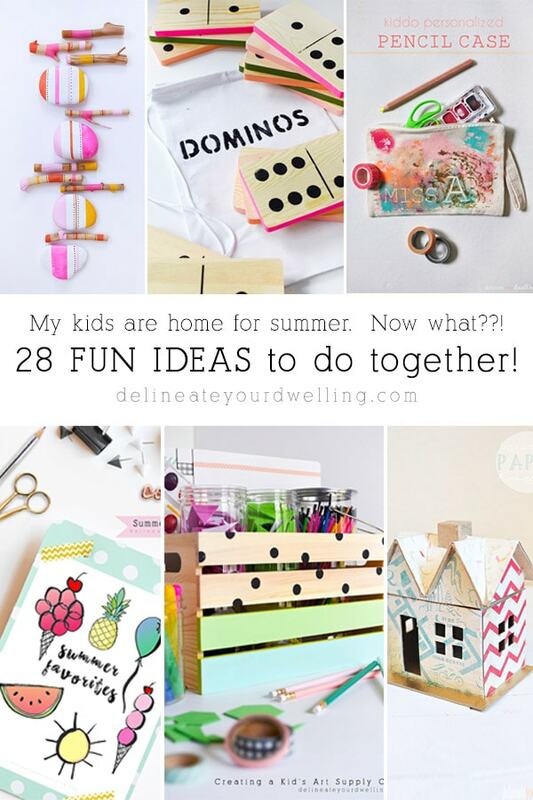 What fun crafts will you be doing this summer with your children? So funny! You are my kind of mom! I made a slime pit for my son’s Ninja Turtle party back in the day, with the slime being made like a gravy, one big stew pot at a time! I had just gotten a large tractor tire to use for a sandbox, but had not gotten the sand yet. I lined the hole and covered the tire with a large tarp. I hid toys related to Ninja Turtles in the slime and included a few of the bad guy characters. If you found the bad guys, you got a prize. The kids loved it! There was slime everywhere! Our green grass was covered in neon green slime. The sidewalk and driveway had slime foot prints, the house had slime hand prints. One problem…I did not rinse the kids off right away, and the slime dried to their skin and in their hair. Like kids in a half-shell instead of turtles. I had to have the kids soak/play in the pool and then have them stand in the yard to scrub with loufas and kitchen scrubbers while I shampoo’d, conditioned and combed their hair, go back and soak/play in the pool, come out, scrub, shampoo, condition, comb, repeat. Clumps of slime plopped on the ground like a moonscape and hardened. By the time the kids were almost scraped clean, the parents and adult persons were arriving to pick them up. I passed out every bottle of lotion and baby oil I had in the house and each kid was massaged to the point they almost fell asleep. It was a great way to calm them down after a very spaz and energized party, just not-so-great that some parents/adult persons did not see the humor in their child being sealed into a corn starch shell. Other parents said it was typical Susie, that is why they never put good clothes or good shoes on their kids when they come to play at my home. There always seems to be some sort of mess involved. I like to think of it as creative exploration and experimentation. My son has said his friend still laugh about it. My daughter remembers her waist length hair being tangled but how great the scalp massage was. So if your chalk dried hard like my slime, you might want to add a word of caution to rinse the kiddos off while the chalk is still wet or to use lotion to moisturize their skin. Thanks for the memory, Blessings From Port Huron, Michigan, USA. I had no idea that chalk paint can be made from cornstarch! Thanks for sharing at Throwback Thursday. Great fun for the kids! Heck, I would have loved it too!